The choice of producing natural supplements has as a first objective the health of the consumer. 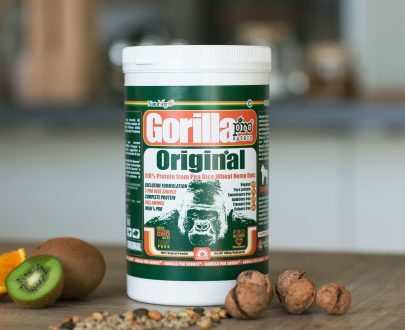 That’s why we at Naturveg have decided not to use any GMO proteins or preservatives, industrial sweeteners or chemical additives in our vegan protein supplements. 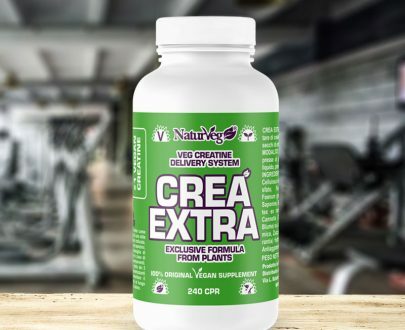 Natural supplements mean to fully enjoy the flavor of nature without unwanted side effects, leaving unaltered the qualities and taste of the proteins used for our products. Fruits, vegetables, and seeds are rich in substances of primary importance for the human being. However, we don’t always have the time, patience and the ability to extract from what we eat the right amount of vitamins, mineral salts and proteins. An example? If you want to take 1 gram of Vitamin C, you should consume at least 1 kilo of oranges a day. No matter how great your love for oranges is, doing it every day would probably become a little difficult. This is why man has invented a more practical solution: supplements. Supplements are a concentrated source of nutrients, born with the aim of improving the work of our body and especially favor the intake of particular vitamins, proteins, and minerals. Thanks to research and technological advancement, today it is possible to produce completely natural supplements devoid of chemical components in the ingredients list or potentially harmful to health, such as aspartame or genetically modified organisms. From grandmother’s preserves with pickled vegetables to be consumed in a season, we ended up with products that expire even one, two or even three years after their production. Have you ever wondered how that’s possible? The most widespread method to increase the expiration date of a food product is the addition of preservatives. Their use blocks the development of micro-organisms and toxins, allowing the product to be kept longer. If you’re a careful label reader, you’ve probably noticed the presence of components ranging from E200 to E299. What’s behind it? They are the identifiers of the preservatives.By taking them through what we eat, we can receive both a benefit and potential harm. Some preservatives can contribute to the birth of tumors, intestinal diseases, the liver, kidneys, and even the skin. Similar risks are mainly related to the use of stabilizers, represented by the figures from E400 to E495, and dyes, indicated instead by the abbreviations E100 to E199. The use of sweeteners instead can cause diseases to the nervous system and slow down the cognitive development of children while products containing GMOs (genetically modified organisms) are related to the development of esophagus cancer, allergic reactions, and liver disease. If you’ve followed one of the many tv channels or debates on GMOs, read articles and books about it, then you probably belong to one of the two categories in which the public opinion took part: those who consider GMOs harmful to health and those who consider them safe. However, the problems related to its use are not limited only to this aspect but conceal even wider risks affecting above all agriculture and our eco-system. The GMO plantations, if on one hand are immune to most “traditional” infestations, thanks to their resistant seeds, on the other hand, they allow the most skillful insects to adapt to the genetic change of plants, making them more resistant and aggressive than before. This paradoxically ends up causing an increase in the use of pesticides. Without considering the damage that GMO plantations cause to insects that are essential for the eco-system, such as butterflies and bees. However, there is something else. The use of GMO seeds risks canceling the biodiversity of seeds, which in itself constitutes one of the fundamental elements for the existence of our planet. When from hundreds of different plant species but only a dozen is selected for the plantations. Then the risk does not only concern the homologation of taste (who would like to eat all the life tomatoes that have the same taste?) and the nutritional characteristics, but the one disease that affects one of these genetically modified plants can have devastating consequences for the entire planet. However, many are concerned about the effects of GMO foods on health. Naturally justified doubts. The American Academy of Environmental Medicine, for example, suggests that doctors should avoid prescribing diets with genetically modified foods to patients. This scientific opinion derives from animal studies that show how GMOs act on the body and what changes they can cause in the long term. This scientific opinion derives from animal studies that show how GMOs act on the body and what changes they can cause in the long term. The results were far from reassuring. The tests done on these poor animals reported damage to the organs, gastrointestinal disorders, and the immune system, premature aging, and sterility. As the Latin saying “de gustibus non est disputandum,” so there are those who love sweet, those who prefer salty, those who love healthy foods and those who can not resist the sins of gluttony. Anyone can give in to small temptations, but we should be cautious when choosing foods for everyday use. Perhaps those who haven’t read or ignore the label of food products, beverages or supplements, and find at the bottom of the list that after names of the ingredients, the hermetic codes, such as E 951? For us, this has never been of high transparency and respect towards the consumer, also because there are chemical additives and sweeteners behind these acronyms. So we’ve chosen not to use them which for ethical reasons and a genuinely natural taste. In the list of ingredients of our vegan supplements, you will never find chemical additives and sweeteners such as aspartame, whose commercial controversial criticism and aspects accompany “omnipresence” in the food sector. Invented in 1965 by a chemist, James Schlatter, aspartame became the most famous sugar substitute, the use of which is widely used in the food industry. The reason is simple. Compared to sugar, aspartame has many advantages: it is 160 to 200 times sweeter, tasteless and is easily soluble in water. But there’s more. Aspartame has about 4 calories per gram, and a small dose is enough to change the taste of a product. For this reason, its addition is not included by many companies in the total calculation of label calories, especially in “diet” products and beverages. Although there are researches that disprove these correlations, stating that the aspartame present in foods on the market is too low to cause damage to the body or the central nervous system. In any case, when in doubt, it is always better to avoid taking such a risk. Above all when it is possible to do without it. 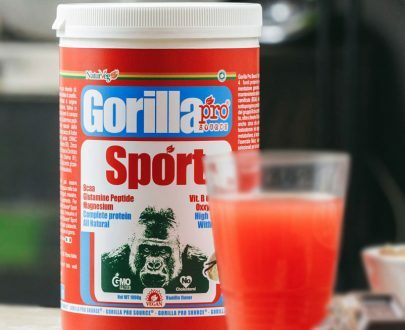 You’ve certainly been disappointed at least once reading the list of ingredients of a product presented as healthy, instead of discovering low percentages of raw materials and a slew of codes corresponding to chemicals products of unknown origins. However, this is not our case. While it is true that many companies use this trick to increase sales and save on ingredients, we prefer to provide consumers with quality natural supplements that are safe for their health. 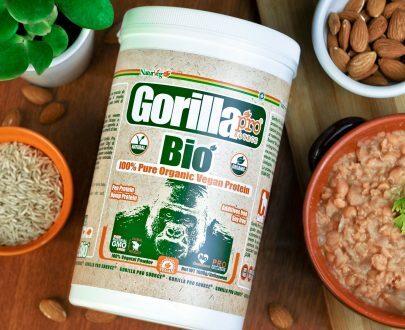 Like our Gorilla Pro Source Bio, a vegan supplement with two natural protein sources (Pea and Hemp), highly digestible and rich in vitamins, that allows you to face your days with pure natural energy. Naturally free of GMOs, preservatives, chemical additives and sweeteners. Find out more on the product page by clicking here. Not just this one: all our supplements are 100% Natural!